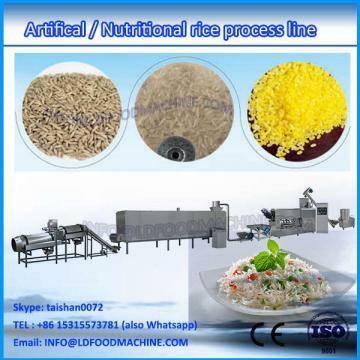 The production equipment of LD rice is adapted to thestrengthening of rice and flour we are make. It can satiLD peoples need for nurtrition. At the same time, the following features can be avoided high input and high freigth for imported equipment. 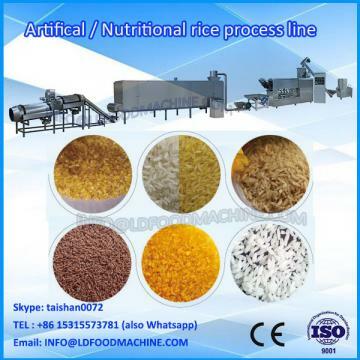 It has the following characteristics: high degree of automation, Enerable saving..Rice,millet,black rice,buckwheat and other corn and cereals as raw meterials,make vitamins,protein and mineral mix,extrude,and become rice ears. The process is simple and easy to use. 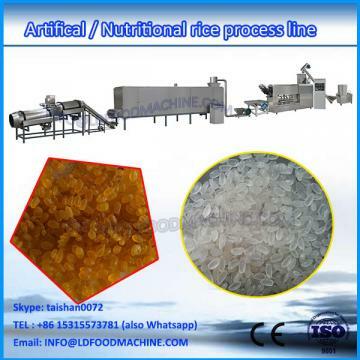 And the edible method is the same as the nature rice. 3:Equipment involved:Mixer; Screw elevator; Double screw extruder; Air blower; Roasting oven; Pulverizer; Mixing machinery .